Advanced online system. Full control. 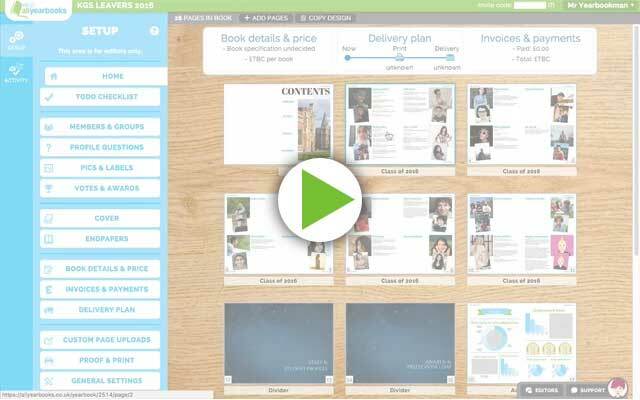 Create beautiful designs and pages using our simple yet powerful online system. No waiting for us to contact you. Use any modern web browser. All members in your group can log in. Upload profile and collage photos. Write content for your profiles. Proof your yearbook pages online. Work alongside our design team. Books delivered in under a month. Our customers love our system. Books arrived today. I love them. Can’t wait to see all the children’s reactions to them. Thank you for all your help. I can’t recommend you highly enough! AllYearbooks you have been a pleasure to work alongside. Without your help our Yearbook would have not been created. Very pleased with the outcome of our Yearbook, was straight forward on how to create pages within profiles, collages and messages. Would recommend this company for any School creating a Yearbook. The yearbooks are absolutely brilliant, I am so pleased with them. Thank you so so much!!!! I’ve had nothing but positive reviews. Such a lovely way to remember our time. With exam pressure it was a real relief to me to have the system whereby students can upload their own comments and photos. We love the size of the yearbook and the photos are of such good quality too! Can I create the yearbook on my phone or tablet? All member functionality and most editor features will work with any fairly recent smartphone or tablet. 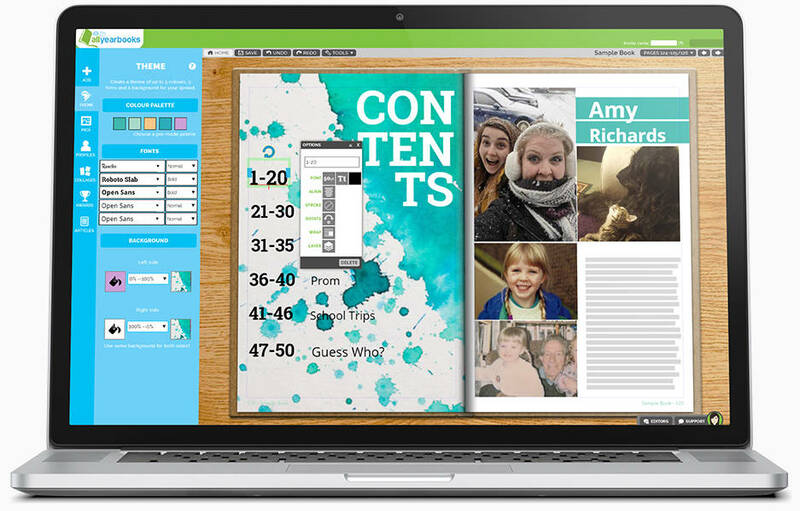 Our yearbook creation system is web-based and doesn't require you to install an app. We work diligently to protect all data you provide. All users need a password to access their book and we actively monitor for hackers. We backup data to our offices daily and encrypt all off-site backups. We're also registered under the Data Protection Act 1998. I want to make pages offline. Can I still use AllYearbooks? Absolutely! As long as you can turn your pages into PDFs then we can print them. Simply upload your finished pages to your book and we can go from there. You can use our online tools as much or as little as you choose, and pricing remains the same. Does my full year group need to get involved? You can make your book collaboratively or as an individual or editing team. We have a number of ways to add your content to your book so you can choose an option that suits your group and schedule. Do you support my browser? We support Chrome, Safari, Firefox and Edge as well as Internet Explorer 11.